Rohtang Pass is important attractions in Manali and this situated on just clear to Manali Leh Highway and from 51km from town Manali and that provides the mesmerizing views of the Manali valley as well as snow-capped mountain. In Rohtang, the entire area is fully covered with heavy snow this make for the enjoying the skating, Paragliding as well as snow bikes. Himachal Tour Packages take you to some of the most popular destinations including Rohtang Pass as well as Manali which are popular for snow. Rohtang encompassing the city also the towns and villages on both sides and these includes the communication and commercial centre. The Rohtang Pass is largest drivable road and this place is stunning destination. The Beas Kund and beautiful Dasohar Lake are situated in very close proximity to Rohtang Pass. From trekking to mountain biking and jungle safari to Paragliding, Rohtang provide different adventure sports to enjoy at the Pass. The Rohtang Pass is a very short distance from awesome Manali whereas Himalayan Pir Panjal Range connects with Spiti Valley and Lahaul of Kullu Valley. Moreover, this Rohtang is open from the May month in up to November. Additionally, the whole area is completely covered by huge waterfalls and snow-capped mountain and that can see only in Manali. Today, Manali shows off the most picturesque serenity of hill stations, traditional lifestyles, magnificent landscapes as well as splendid temples of northern India. The Dev Bhumi or Himachal Pradesh state is bestowed to fascinating places such as Chamba, Shimal, Kullu Manali, Dalhousie, Dharamshala and many more. The Rohtang Pass provides some wide range of panorama of hills that rising above the sea which is impressive show. In every year, in between the June month of September, there are huge amount of people come here mainly to have the fascinating beauty as well as breathtaking experience. Further, this area receives the snowfall for almost 9 months this is major attractions and also it attracts for Ski Sports. 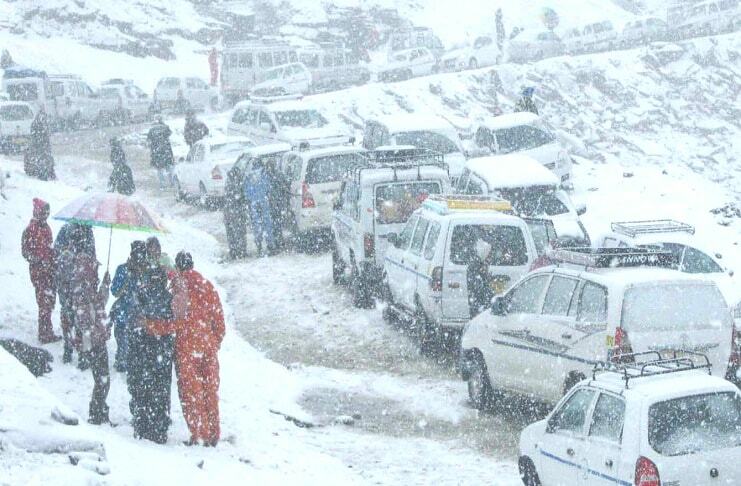 The Rohtang Pass is very busy over all seasons this due to military movements. Especially during summer, the traffic logs are one of the common problems this mainly because of the movements of heavy military trucks, vehicles as well as goods carrier. This Rohtang is best for the snow point. Rohtang Tunnel is one of the longest tunnels which are 8.8 long. Booking the hotels in Rohtang Pass using yatra coupons will save money. The Rohtang Tunnel is highly made for the road route and so it has high connectivity of Spiti as well as Lahaul Valley. Apart from Rohtang Pass, Hadimba Devi Temple and Vashisht Village are popular. The Vashisht Village is located at 3 km from town. The Vashisht Village is especially popular for Raghunathji Temple as well as Hot Water Springs this is known for the medicinal properties and religious site. The Hadimba Devi Temple is surrounded by the cedar forest this at foothills oh hills. The Hadimba Devi Temple is dedicated to God Hadimba Devi. Solang Valley provides a spectacular site of lofty mountains. A number of summer sports and winter sports are provided to enjoy here. The zorbing, skating, parachuting is commonly sports provided here.